Finally we got some good weather today, so we were able to leave camp 2. Some people thought that we had moved in permanently! 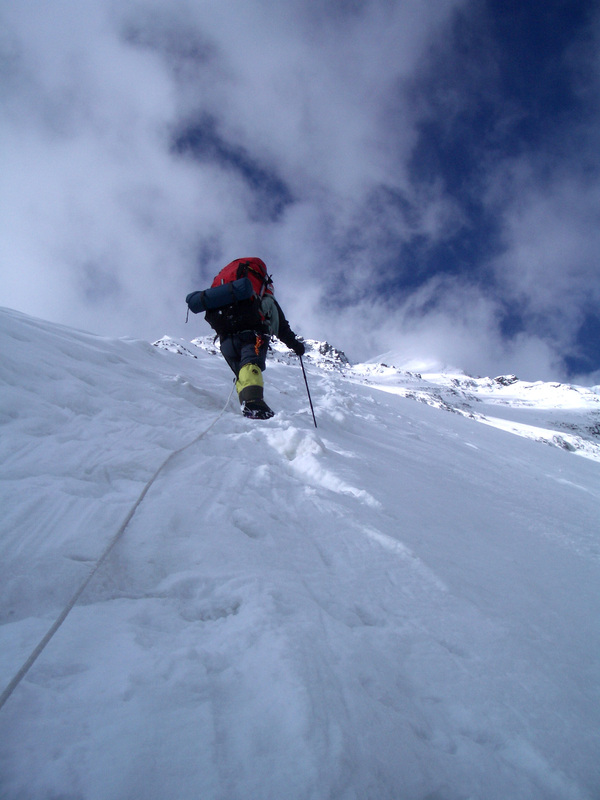 It’s quite a demanding, technical climb from camp 2 to 3, with lots of vertical rock and ice. The moves required aren’t that difficult, but you should try doing them at 6000m with a 20kg backpack on your back. We are camped right on top of Chapayev at an altitude of about 6100m. Took us 10 hours of solid climbing – it’s steep all the way. In fact there were no spots to have a pack-off rest. The really bad news of today was that Paul dropped our main camera, and it went hurtling downwards, along with all our photos. Fortunately we have another camera for the rest of the trip. The satellite phone works well up here, as there are not too many other higher mountains in the way. If the weather is good and we feel up to it, we will climb up to camp 4 tomorrow. 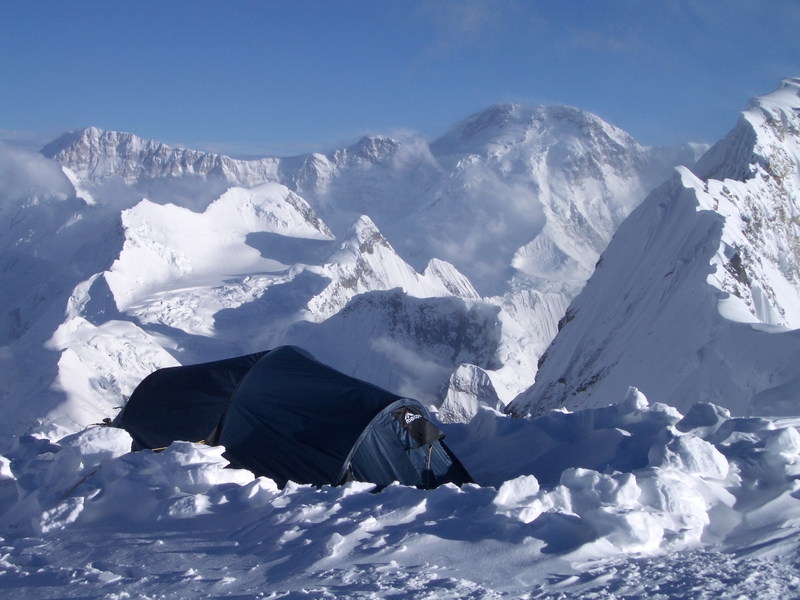 In 2004, Paul and Fiona climb Mt Khan Tengri - the highest mountain in Kazakhstan. Although they reached the summit, they paid a cost with frost-bite. Read their daily blog from the climb here.